We provide a comprehensive range of podiatry services, throughout the Mooroopna and Shepparton region. 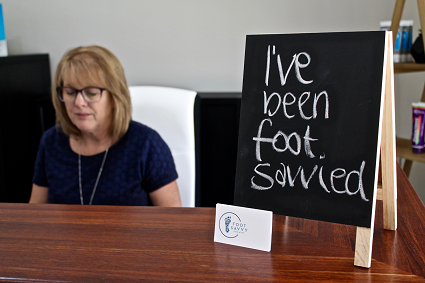 Welcome to Foot Savvy Podiatry, the only Podiatry clinic in Mooroopna, Victoria. Our aim is to provide a friendly and professional service to improve the quality of life of people living in Mooroopna, Shepparton and surrounding areas. Foot Savvy Podiatry provides care to people of all ages and with all types of lower limb and foot conditions. Please click on the link below for more information about our friendly staff.